Exercise can be a crucial part of your self-care plans. 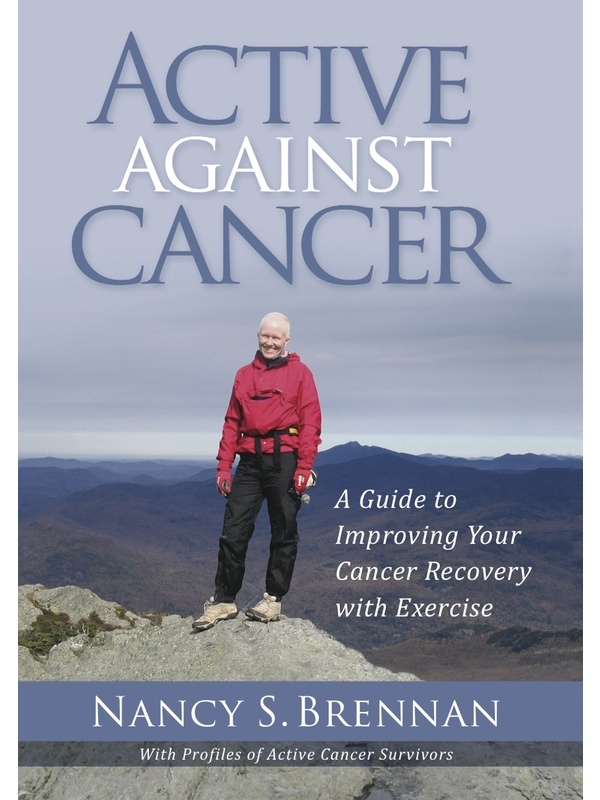 Let author, athlete, and 7-year ovarian cancer survivor, Nancy S. Brennan be your guide as you aim for a complete recovery from cancer. If you are in cancer treatment, you may have questions about how much exercise to do and why to do it. Here are self-directed, flexible, and easy plans that you can use, after medical approval. If you were athletic before cancer, you may instinctively want to do more exercise than you should do during cancer recovery, especially early in treatment. Learn about the great value in adjusting your activities and prioritizing health over “training”. “More” is not always “better” at this crucial time. If you don’t usually do much exercise and you don’t feel well because of treatment, how can begin exercise slowly and easily? This guide provides you with practical tips, encouragement, and an effective starting plan. If you are a long-term cancer survivor, you can still benefit from routine exercise that can help lessen your chances of recurrence and/or help your health generally. Get the most benefit out of your exercise plans during cancer recovery. If you want to do everything that you can to recover from cancer, choose physical activities that help your body heal, thrive and recover. Start today. Start here. Get active against cancer. Ten medically validated reasons why exercise helps to fight cancer. How to discuss your exercise goals and concerns with your medical caregivers. Simple, flexible exercise plans for beginners and athletes and everyone in-between, for during cancer treatment or afterwards. Basic information about exercise-related medical concerns for cancer patients. How exercise, long-term, in an enjoyable manner that supports your health. Mind-body techniques that allow you to combine physical activity with healing goals. You can also read inspiring profiles of ten cancer survivors who used exercise to their advantage. These survivors have a variety of ages, with different cancers and prognoses. They shared a commitment to exercise as part of their recovery of health. Use their examples as inspiration. Join Nancy Brennan being Active Against Cancer. Here’s an interview on local TV with Nancy Brennan talking about the book, exercise and her experience.